Is a ‘happily ever after’ marriage even possible? This marriage seemed over. But everything changed for this woman when she shifted her thought and saw that the source of her happiness was divine Love, and not another person. Read how she prayed and her health, family and marriage were restored to a deeply loving relationship lasting 20+ years. … for “man's extremity is God's opportunity. Soul has infinite resources with which to bless mankind, and happiness would be more readily attained and would be more secure in our keeping, if sought in Soul. 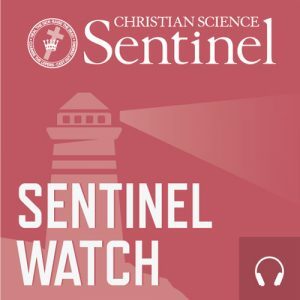 Other articles from the Christian Science Sentinel are available via subscription or from any Christian Science Reading Room. If you’d like to find out more about how the study of Christian Science can help you find peace and healing for you and your family, you can read Science and Health with Key to the Scriptures, visit a Christian Science Reading Room, come to a Christian Science service, or contact a Christian Science practitioner.